We are a 24-hour service with the capabilities to respond within minutes of notification. Rico Aviation ensures quality care to our patients. Part of our care means providing reliable, comfortable and safe airplanes. Rico has 24-hour dispatch capability, as well as a one-step dispatch tablet and downloadable app for iPhone and Android called Rico Rapid Response™. 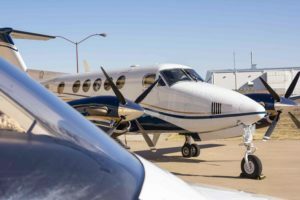 The latest addition to our fleet of air ambulances is the spectacular King Air 200 by Beechcraft. The aircraft is incredibly versatile with a maximum range of well over 1000 nautical miles, and a maximum payload of nearly two tons. The King Air 200 reaches a maximum true airspeed of 272 knots. Two turbo propeller engines allow for this aircraft to effectively operate as a top of the line medical air ambulance. The Bell 407 Helicopter provides high speeds, outstanding performance, and unmatched reliability. With a Rolls-Royce 250-C47B/8 turbine FADEC engine, the helicopter can reach speeds of 246 km/h. Also, because of its sleek design and high-grade features, the Bell 407 Helicopter has incredible maneuverability. Normally able to hold up to 6 passengers, our medical care specific air ambulance has ample space to maintain quality care and comfort for our patients, while also ensuring a smooth ride in nearly all weather conditions. 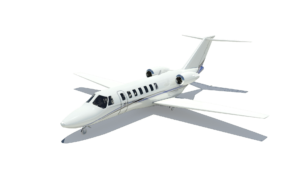 Rico Aviation also holds a Cessna 525 CJ2 jet in its arsenal used for private charters. This jet seats six people and is the fastest aircraft in our fleet with a top speed of 460 miles per hour. Learn more about our Charter Services here. No-one sets the standard higher when it comes to the level of care from bedside to bedside. Rico requires that their pilots have the highest rating and that our paramedics, nurses and healthcare personnel have advanced certifications. With Rico Aviation, you know you or your loved one is in the best care. At Rico Aviation, your care is our number one concern. Every single one of our medical flight crew members is required to have at least three years of experience in critical care. We hold our nurses and paramedics to the highest standards and certification requirements. ATP (Airline Transport Pilot) rating- the highest level of aircraft pilot rating in the United States. In addition to all of our certified flight crew members, Rico Aviation uses the highest quality equipment to provide you with the best treatment possible including the Hamilton T1 Ventilator and Zoll X Series monitor. Each Air Ambulance has its supplies checked and restocked after every flight. Our equipment and attention to detail allow our team to confidently and efficiently assess and treat any situation in front of them. For more information about our certified nurses, paramedics or pilots please call us at (806)-331-7426.